Not only does having flood curtains in your home look wrong from a design standpoint, it also makes your ceilings look short; thus, making your room look smaller. 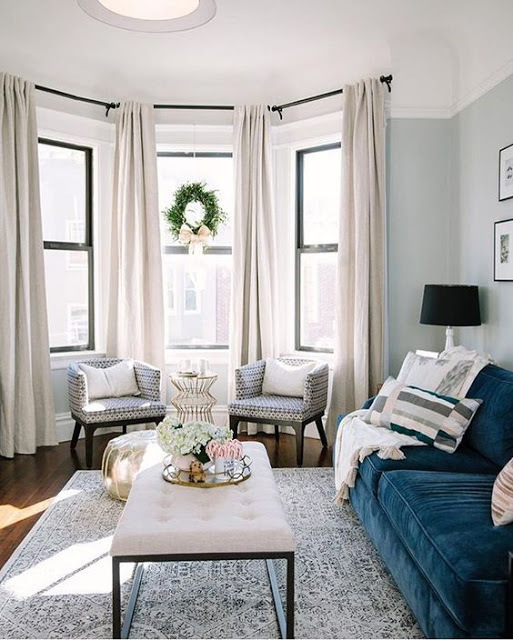 With all the potential curtains have in making your room look bigger, taller, and brighter, for the love of all.the.things...make sure your curtains skim the floor or puddle, if you want a bit of more effortless or elegant look. 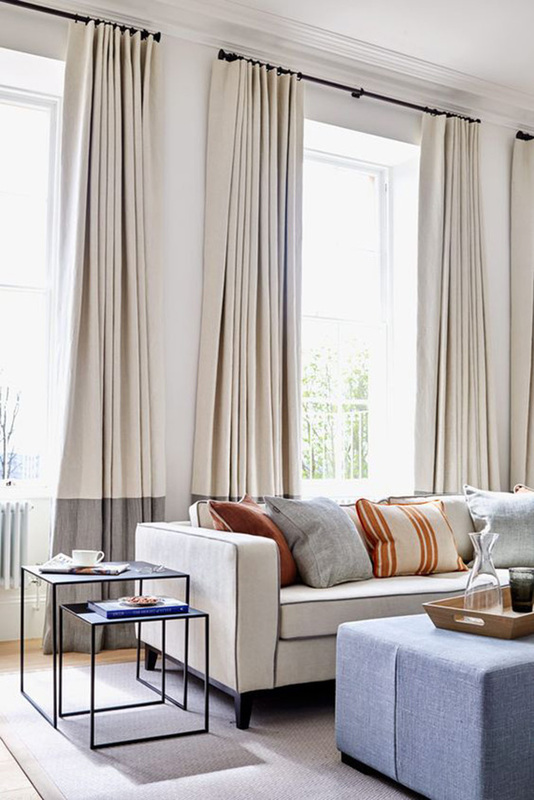 Designer Tip: If you just did a forehead-to-palm motion because you have curtains that are too short, then take a tip from the picture below! 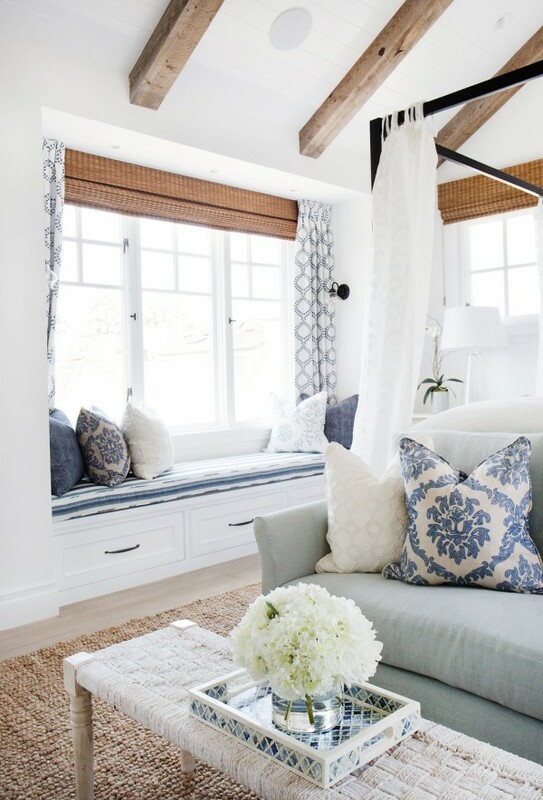 Find a coordinating fabric and sew a panel to the end of your drapes. Rugs are an investment piece-- I tell my clients that all the time. A good rug is like a good pair of jeans! They will last forever if you get a good quality rug (like a nice wool area rug) and utilize a rug pad. They seem expensive when you're purchasing one, which is why a lot of people don't get the appropriate size for their space. 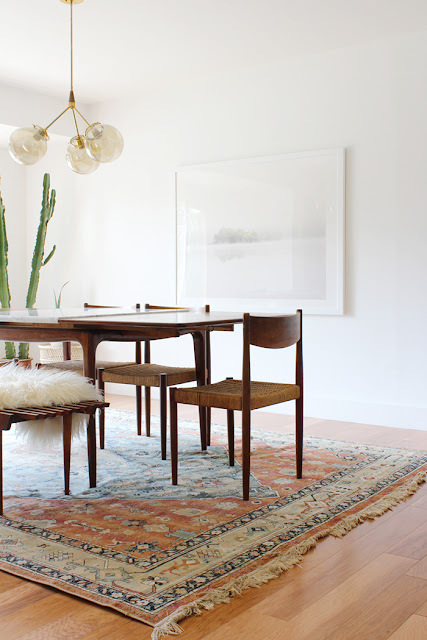 I wrote two posts on this topic: one on appropriate rug size for your room and one on my favorite rugs. Getting too small of a rug will actually dwarf your space and make the pieces of furniture in the room feel like they're floating and disjointed. 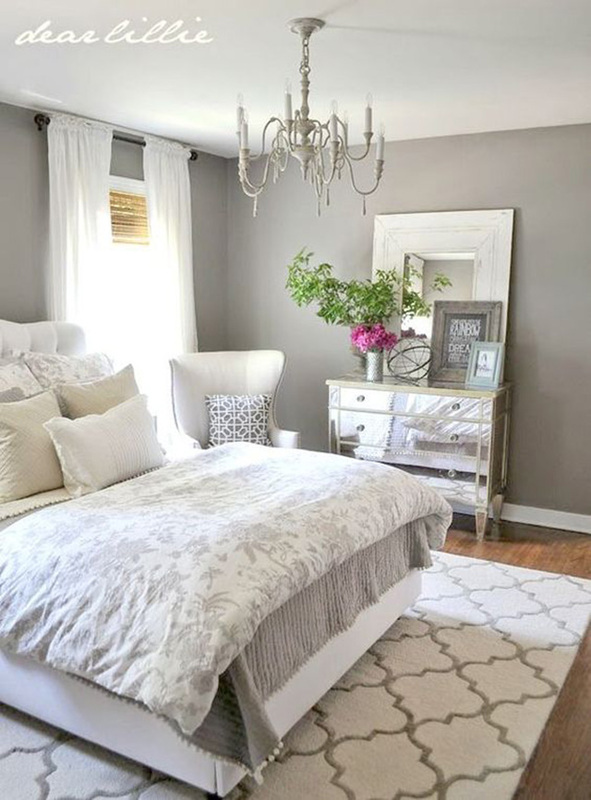 A large area rug unifies the whole room. This is a really easy design mistake to make, because the designer community probably hasn't educated as much as we should on this topic! I see this all the time, especially if the person who hung the art was very tall or very short ;) If you hang something too low, the room will feel dwarfed. If you hang it too high, you're going to strain people's necks when they try to admire your art! Ha. 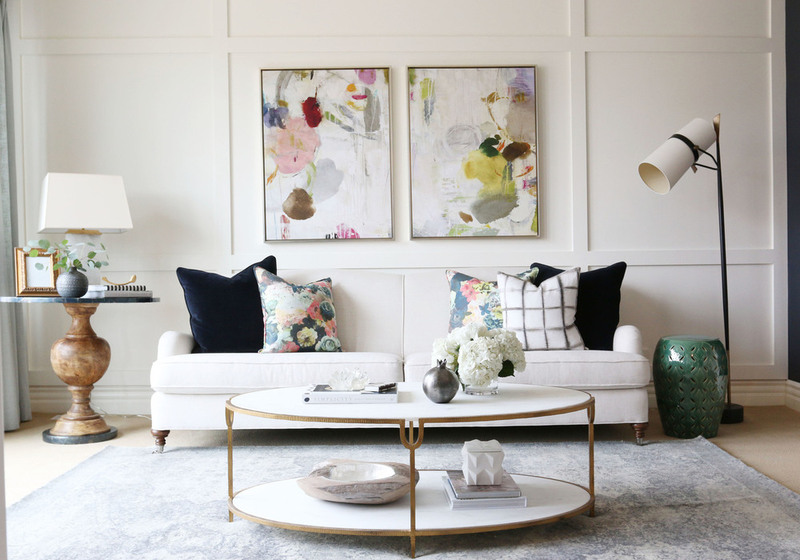 Designer Tip: The midpoint of your art should hang about 55-60" above the floor. That's the rule of thumb I use when helping clients and hanging my own art! Just no. I don't know what else to say here ;) Just kidding-- I always have something to say! Mini blinds create so many horizontal lines across your windows, doing the opposite of what we want, which is creating taller looking windows. They're distracting, though practical. We have them in my apartment and I loathe them, but we can't do anything about it other than draw them all the way up every day. Other alternatives to mini blinds? Roman shades, natural woven shades, curtain panels. Even the wood blinds that are larger than mini blinds are a better option, because they don't have nearly as many little horizontal lines. Plantation shutters are also a classic, pretty choice. 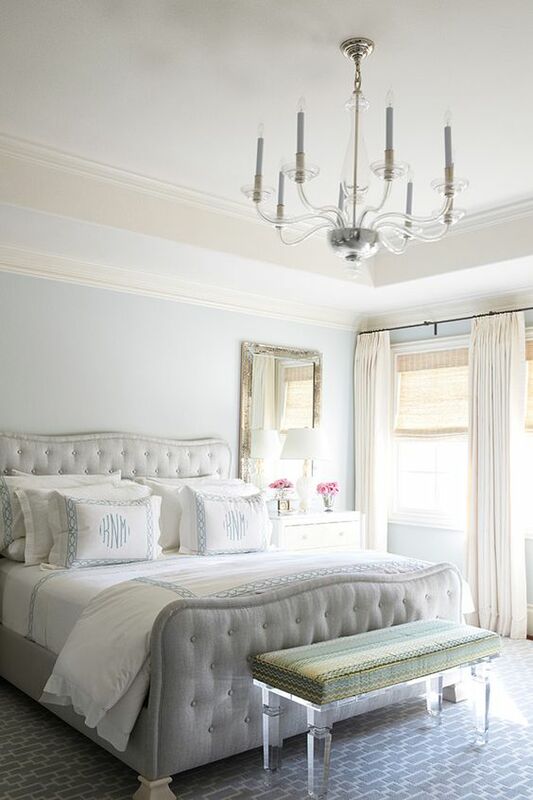 It is easier to find a set of bedroom furniture you love and buy all the matching pieces, but what looks even better and more inspired is doing the opposite. Find a pair of matching nightstands, a beautiful headboard, and then a dresser than GOES with the nightstands, but doesn't MATCH it exactly. It helps give your home a "collected" feel, instead of making it look like you went to one store and bought everything. I made this mistake once and wrote about it here. I was decorating my first apartment all on my own, trying to get it finished quickly (and avoid living in the chaos of boxes) and I kept falling prey to the trends I was pinning on Pinterest. I wanted to love the lucite tables, mid century pieces, and bright colors, but that's just not me. I don't think it ever will be! I made the mistake of buying a few pieces for my apartment I thought I needed to be on-trend or bought to check something off my list, but they just ended up being a waste of money. ALWAYS go with what you love, even if you don't find it immediately. Invest in your home, find your style and then don't be ashamed of it! If you don't make it yours, or worse...you try to fit into a style that's not "you", you'll be really unhappy and your home won't feel as personal or inspired. - It's called a "sofa", not a "couch". One of my professors was adamant about this terminology, but I still call it a couch most of the time! - Pendant vs. Chandelier: A pendant hanging down from the ceiling with one cord and usually one light. These are often seen over a kitchen island or dining table (like a pendant with a drum shade). A chandelier is a light fixture that hangs down from the ceiling but that typically has more than one light, is more ornate, has different pieces branching out from the main piece, etc. These are typically seen in foyers, over dining tables, or to make a statement in a bedroom or living room. What do you think about my list? What do you think is the biggest decorating no-no?! Happy Monday & happy April!! Thank you for this post. Important tips. haha the sofa term was drilled into me in school as well. This is so, so very helpful! I will use this info as I plan for my new house soon. I would love to read more posts like this on your blog. Thank you!